According to Pajhwok Afghan News reports, the front, officially called the “United National Front” does include some “warlord”-designates such as former Herat governor and current Energy minister Ismail Khan, Uzbek strongman and advisor to Karzai on security matters Rashid Dustum, and current speaker of Wulusi Jirga (lower house of Afghan parliament) Yunus Qanooni. Looking at the updated line-up of faces, it seems that the group takes in just about everyone of significance in Afghan politics who is not already co-opted by the government of president Karzai. Two conspicuous absences from the new front are Sayyaf and Muhaqiq, both with sticky ‘warlord’ epithets, and both powerful current MPs with illustrous Jihad credentials. In the case of Sayyaf, he is already co-opted by the Karzai government and operates in locksteps with the administration, but serves his role more usefully if he is publicly seen as an independent MP. As for Muhaqiq, well, his political career is in dire straits. 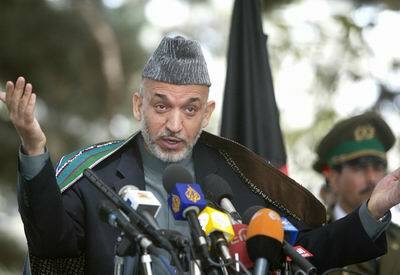 He has offered himself many times over to the altar of Karzai, but has no takers. He has shown his willingness to gladly throw his lots with anybody (even bitter former enemies like Sayyaf with a long record of proven and documented atrocities against Muhaqiq’s hazara constituency), and at times, he has sought the graces of the government after being sacked from the cabinet as Karzai’s initial Minister of Planning. Owing to a number of miscalculations (most notably joining forces with Sayyaf in the parliament) Muhaqiq’s popularity among the Hazara people has been sliding. It is against this backdrop that his absence from the United National Front can be explained: Mustafa Kazemi, the new front’s speaker and an instrumental figure in its founding, is styling himself as the unopposed leader of the “Shi’a” of Afghanistan, a dubious group designation that may work well in Iraq, but is virtually meaningless in Afghanistan. It is clear to one and all that politics in Afghanistan will continue to be driven along ethnic lines and not religious or ideological ones for a long time to come. While Mr. Kazemi is not an ethnic Hazara, he does share the Shi’a persuation of Afghanistan’s third largest ethnic community, and he is planning to capitalize on this common denominator to represent them under a new banner.